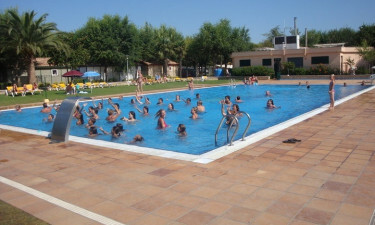 Bella Terra - Costa Brava, Spain - Book online at LUX-camp now! Billed as offering its guests a "privileged environment", the luxury camping site of Bella Terra has been in constant operation for over 50 years. 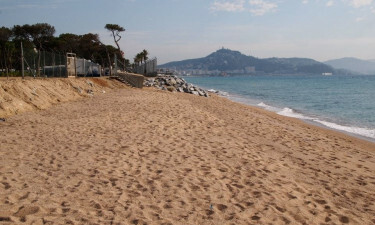 It is located within the heart of the Costa Brava region of Spain and therefore, visitors can expect balmy temperatures throughout most of the year. Another massive benefit when choosing this camping holiday is that the inviting waters of the Mediterranean are literally only metres away from one's mobile home. So, enjoying a day at the beach is always a possibility. Please speak with an expert at LUX-camp to learn more about what is in store. Why should I camp at Bella Terra? One of the alluring aspects of Costa Brava is the fact that there are so many wonderful places to visit during any camping holiday. Bella Terra is only a short drive away from such well-known cities as Barcelona, Girona and even Tarragona. Travelling north will provide guests with unsurpassed views of the Pyrenees mountains, while a trip inland offers such delights as Montserrat and the numerous wineries that dot the region. There is something here for the entire family. One of the advantages offered by Bella Terra is that it is able to boast what can only be called superior levels of camping luxury. All of the conveniences that we have come to appreciate are now well within reach. A fully equipped laundrette, wireless Internet, handicapped-friendly restrooms, baby changing areas and a supervised pool are a few examples of this unsurpassed attention to detail. This luxury camping resort provides its guests with a variety of activities to enjoy during their stay. Some examples here include football, tennis, table tennis and bicycling. It is easy to hike to nearby towns and of course, the aquatic attractions abound. Costa Brava is famous for offering surfing, swimming, windsurfing and snorkelling opportunities. An onsite restaurant is able to serve up local Catalan foods, while its chefs are just as capable of providing international cuisine for those with more eclectic tastes. Guests can dine in or take the food back to their mobile home. A menu for children is also available. 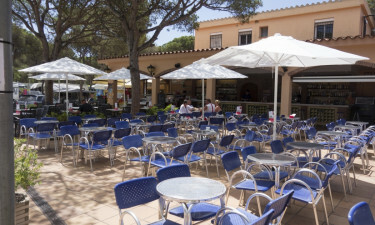 While there is a bar within this restaurant, it is also possible to enjoy a glass of wine or a tasty "mojito", thanks to a poolside drink stand. Visitors will be able to stock up on all necessary provisions with the help of the grocery store. Fresh fruits and vegetables, locally baked bread and stationery items such as international newspapers can all be found here. This store is open throughout the tourist season.